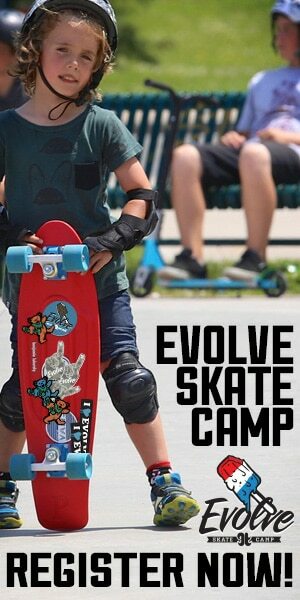 Top 5 Reasons To Buy Your Child A Scooter - Evolve Camps - Best Christmas Gift! 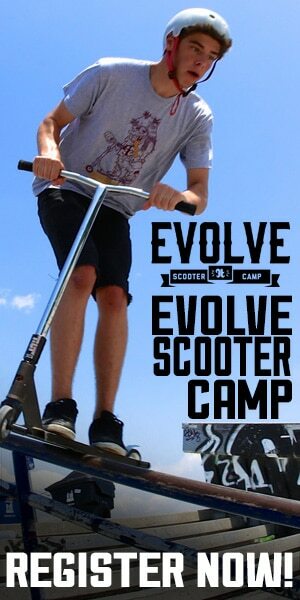 Forget about skateboards, bicycles, and RipStiks – scooters are here, and they are here to stay! Scooters are by no means a new invention, but within the last 5 or so years, there have been many improvements to the way that scooters are designed and manufactured. Here are the top 5 reasons that we believe that you should buy a scooter for your child this holiday season. 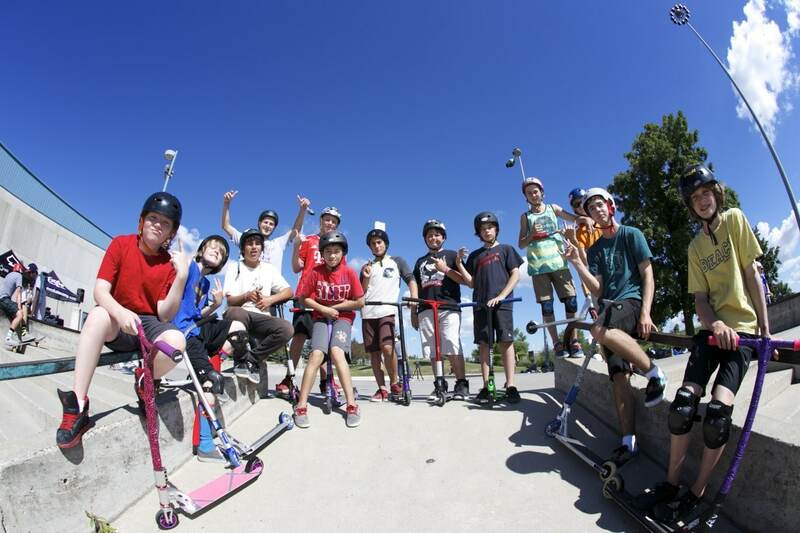 Children of any age can find a scooter that fits, and the ability to scooter comes naturally to almost everyone. The standing up position feels more natural than crouching down and pedalling a bicycle. 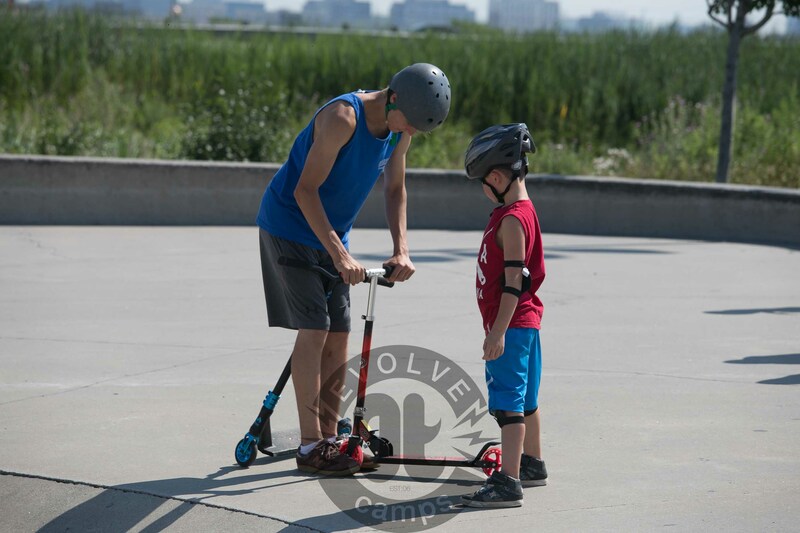 Especially with the three wheeled scooters, your child can practice on something that has the same dynamics as a two wheeled scooter and will never fall over. Scooters are so easy to learn to ride that they are recommended for kids as young as 2 years old. Unlike a bicycle or a skateboard, there is very little maintenance required to keep a scooter operationally sound. All of the parts are metal (generally) which means that they rarely need to be replaced. 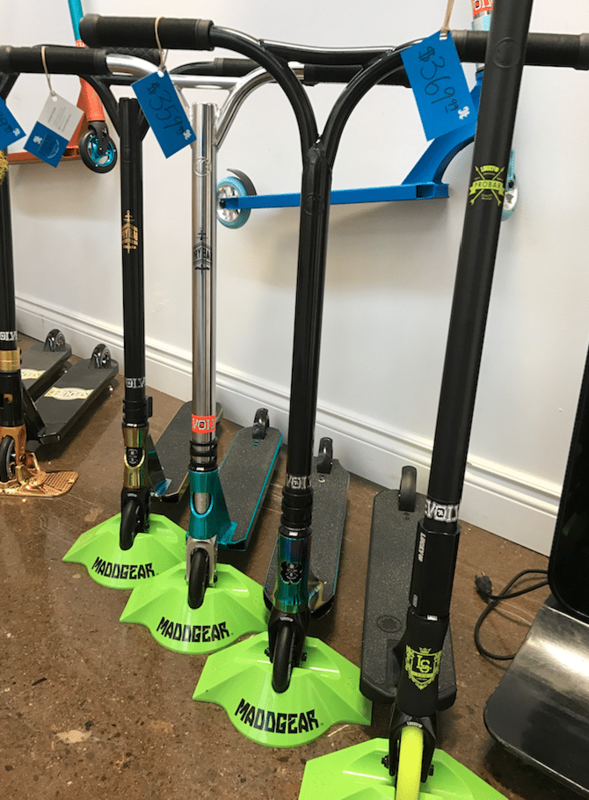 There are significantly less moving parts than a bicycle and there are less breakable parts than a skateboard; both of these factors mean that scooters need less maintenance in the long run. A great quality trick scooters can be cheaper than even the cheapest bike, and there are far fewer maintenance costs. While a complete skateboard is often cheaper to purchase, you need to replace the decks often and those add up quickly over time. For $180-300, you can get a trick scooter that will last your child 3 or more years without needing any replacements or upgrades. When you have a young child, you often have to carry them to the places that you go or you need to walk slowly so that they can keep up. With a scooter, your child needs to “scoot” for themselves. While making life easier for you and your family, this also allows your child to develop a sense of independence at an early age, which will serve them well throughout their lives. Scooters are a safer decision for a multitude of reasons. First, they handle speed better as they have tighter axles so you will almost never experience speed wobbles. Second, they are easy to steer as they have small, sharp wheels connected to a handlebar at chest level. Third and finally, they are easy to stop as they come with a brake installed that anyone can easily operate with their foot.